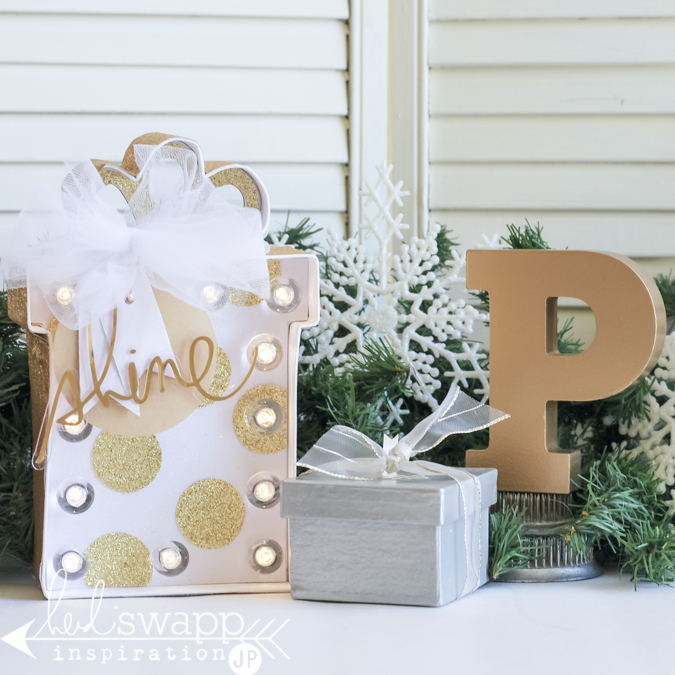 decking the halls with lights. Since grabbing this photo I changed up some supplies...the music tape was set aside for another project and I went with the gold glitter. See next image. 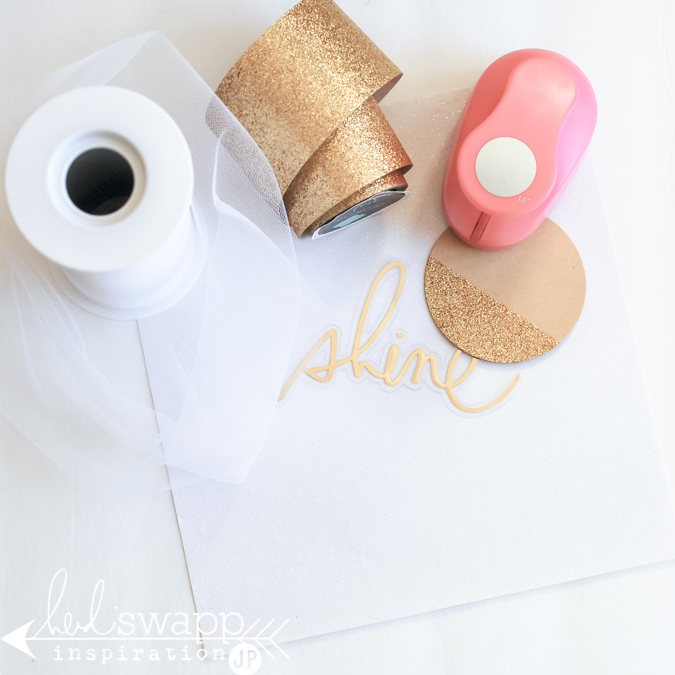 While you are there...grab some Marquee Love Gold Glitter Tape. And some tulle. Hopefully at home you have a circle punch. You will need that too. 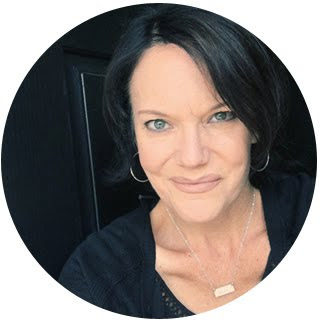 Oh...and maybe even a package of Gold Foil Acetate Words Heidi has at Michaels as well. 1. 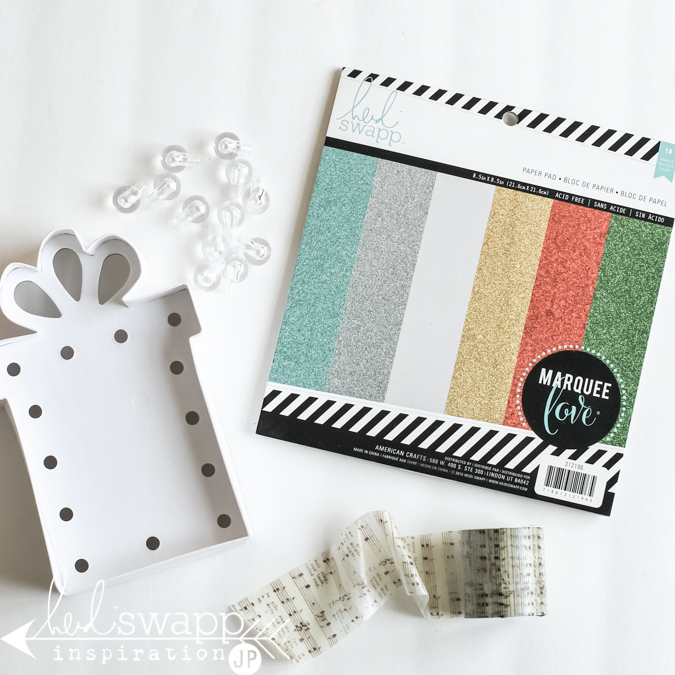 Use the template and trim a piece of white glitter paper from the paper pack. Slip this into the Marquee shape. 2. 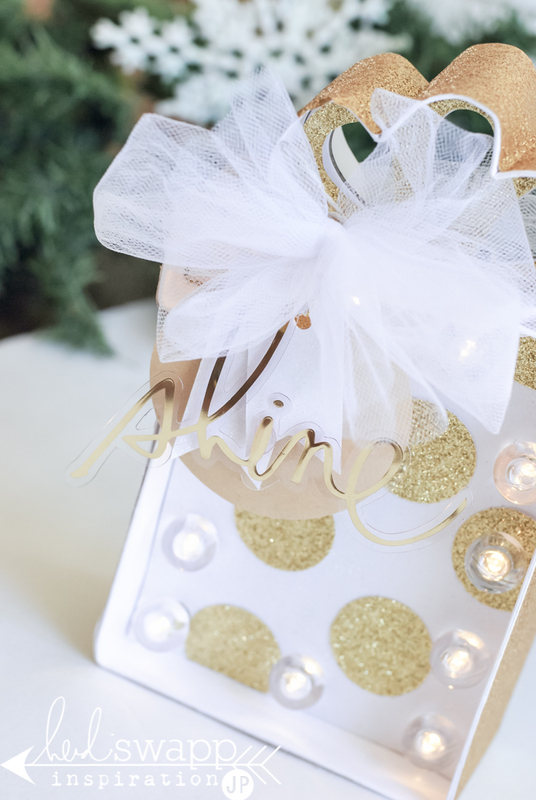 Using the gold glitter paper from the paper pack, punch out circle shapes. 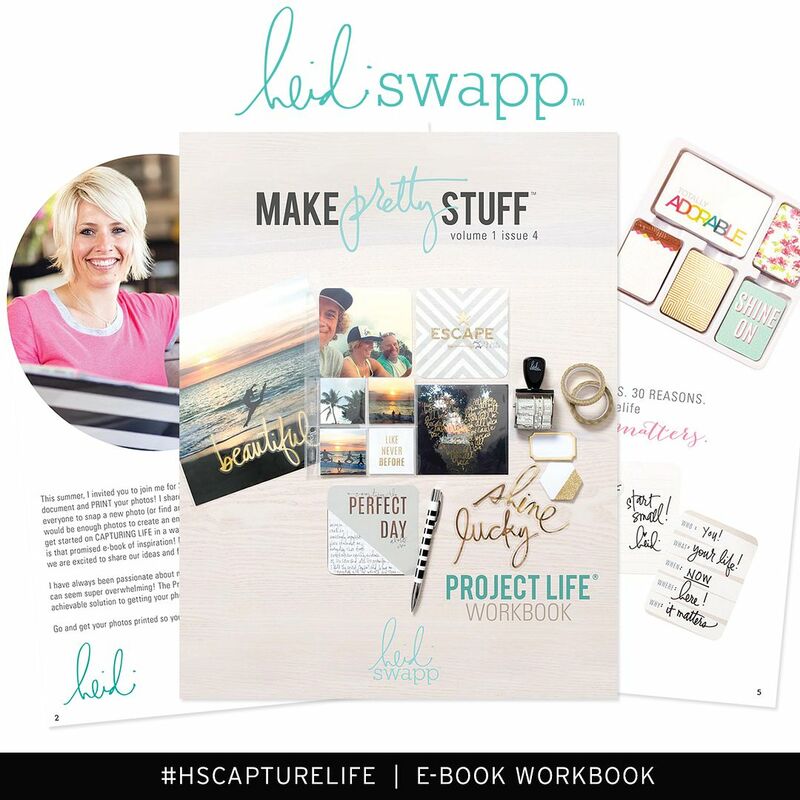 Adhere to the white glitter paper. 3. At this point go ahead and place bulb covers and bulbs into the marquee shape. 4. 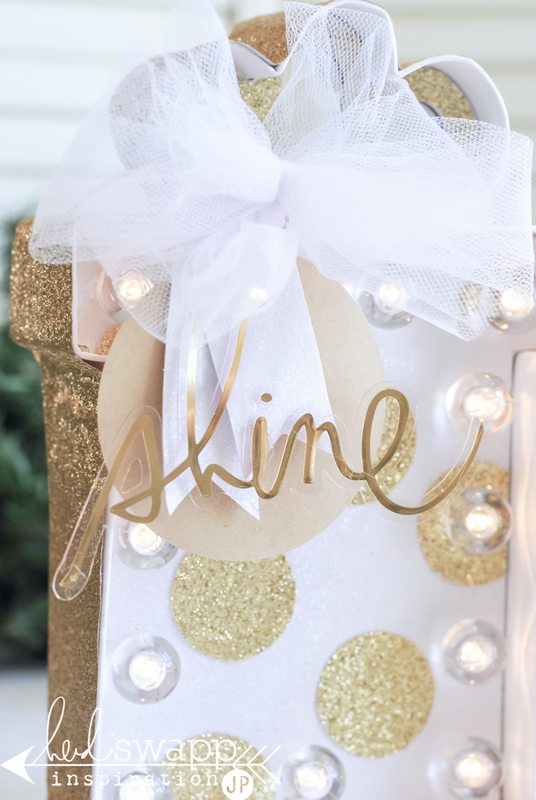 Wrap the 'bow' of the marquee light with tulle and hang a few notched glitter paper tags as well as a kraft circle tag (part of the Michaels Sticker Collection). 4. Then make it shine. 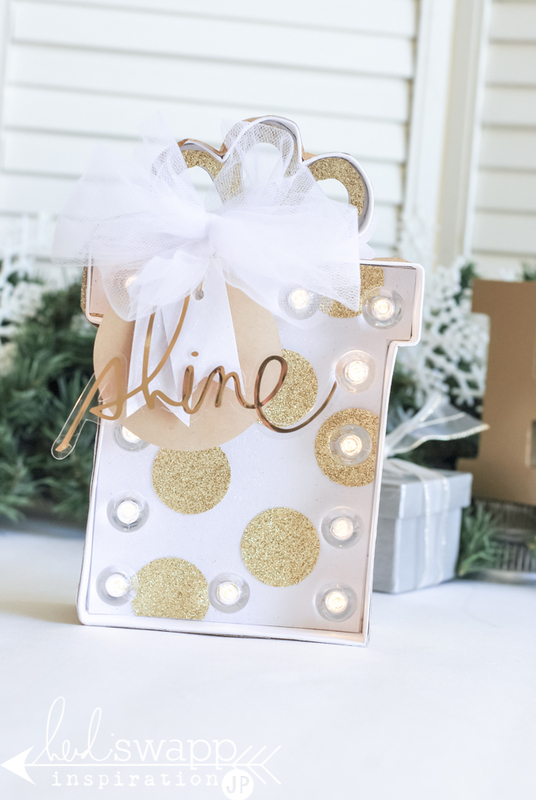 The gold acetate word 'shine' is also from Michaels by Heidi Swapp. 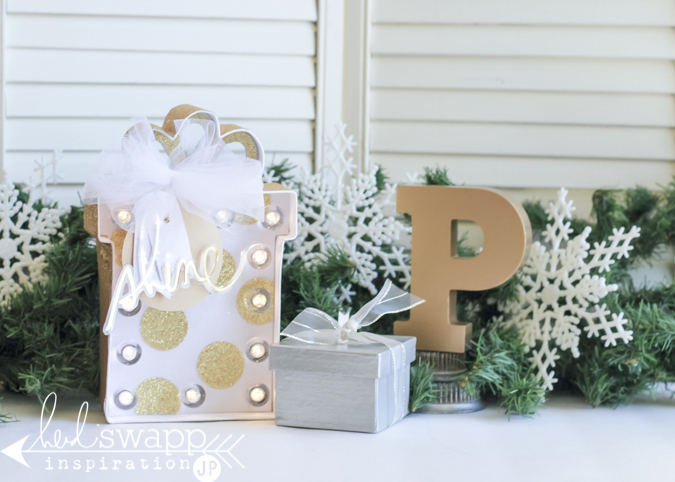 Not only will the MarqueeLove gift light be adorable as an addition to Christmas decorating...but it's size is so darn cute, it would make a fun gift. 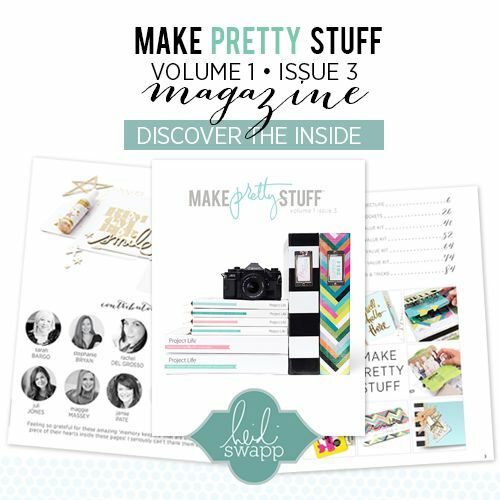 Decorate it all up and give to a friend...or a teacher!!! 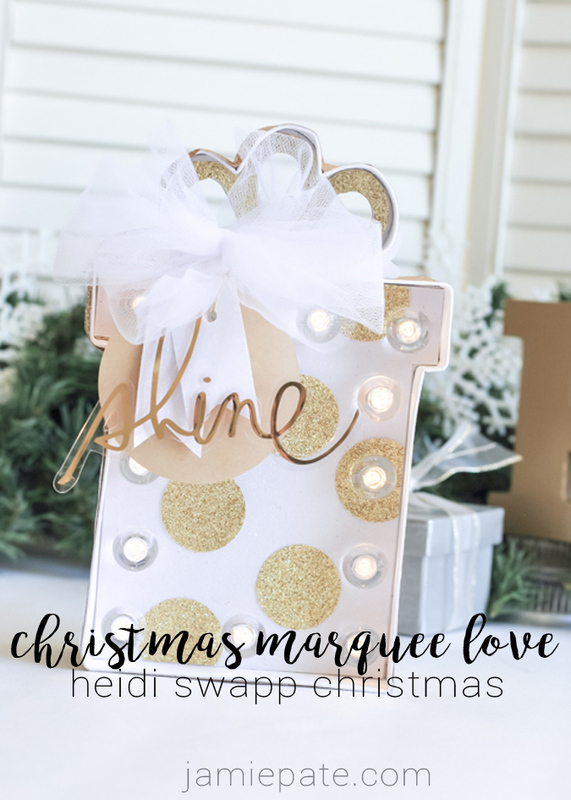 Enjoy blinging up your Christmas MarqueeLove.